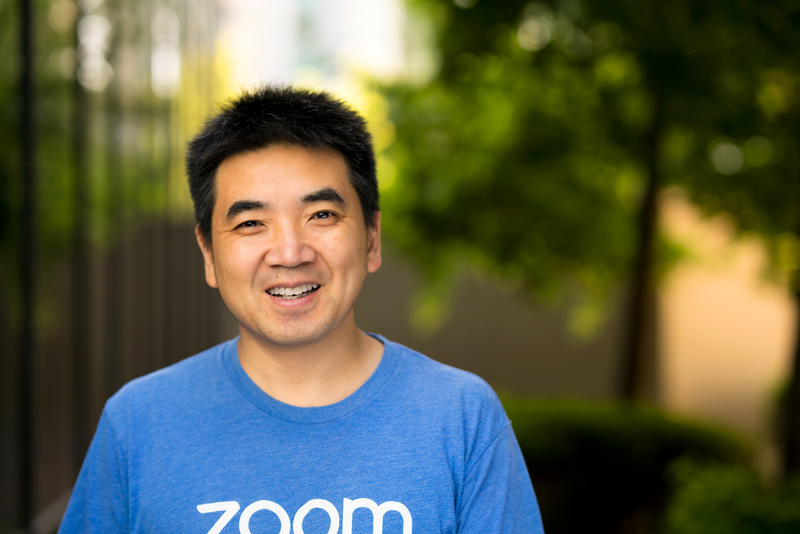 I had the pleasure of interviewing Eric S. Yuan, CEO of Zoom Video Communications. Prior to founding Zoom, Eric was Corporate Vice President of Engineering at Cisco, where he was responsible for Cisco’s collaboration software development. At my firm Bonova Advisory we help a large number of corporations in building a framework for strong culture. Culture of a firm is the top most driving factor for the success or failure of that firm. I decided to come to the U.S. in the mid ’90’s because the Internet, which I knew was the wave of the future, was red hot here, but hadn’t yet taken off in China. The first time I applied for a U.S. visa, I was rejected. I continued to apply again and again over the course of two years and finally received my visa on the ninth try. More than 40 fellow engineers followed me in my new venture. We launched the Zoom platform in early 2013. Now, a little more than five years later, we’ve hosted over 39 billion annualized meeting minutes and our customer base includes 80% of the Fortune 50. I personally email customers who cancel our service. One customer replied to my note and accused me of sending auto-generated emails “impersonating” the CEO — he said Zoom was a dishonest company! I wrote back that the email was indeed from me, and that it wasn’t generated by one of our marketing tools. He still didn’t believe me, so I wrote back again and offered to meet him on a Zoom call right that minute to prove it was me writing the emails. That call never did take place, but he stopped accusing Zoom of being dishonest! Your culture begins with your hiring practices. Zoom evaluates candidates on whether we believe they could deliver happiness for others and embrace the value of Care. If they embrace our core value of Care, enjoy working at Zoom and want to deliver happiness, then they will be self-motivated and will work harder for their teammates and their customer. It’s a circle. When we are interviewing candidates, we’ll ask them to tell us about a recent instance in which they exhibited care for someone. Hire employees that are self-motivated. The business world is changing rapidly, so all employees have to like to learn new things — new technologies and new skills. They need to motivate themselves to overcome hurdles, and have the energy to move forward without counting on somebody else to motivate them every day. Your company’s culture is the #1 most important thing to get right. Everything else flows from there. At Zoom, we have a culture of care. We expect our employees to care about the community, the company, their teammates, our customers, and themselves. We don’t want our Caring philosophy to be a one-off that is explained in employee training and then never discussed again, so it is posted on the wall of Zoom’s lobby in every location, it is a common refrain in our all-hands meetings, and it is the core of the work at Zoom. If your employees are not happy, nothing else at your company will go well. We take happiness very seriously at Zoom. We have a Chief Happiness Officer (who is also a sales person), and she has her own team called the “Happy Crew.” The crew is made up of about 25 reps who are in different job functions and locations within Zoom, but who have volunteered to help execute on driving culture. Our Chief Happiness Officer works with the happiness team to plan events such as outings and volunteer days, and Fun Fridays (which are often themed dress up days). As a company we recognize one employee each quarter who goes above and beyond to deliver happiness internally and externally. The process should be as enjoyable as the outcome. Here’s a good example: Webex went public while I was there, and we had a huge celebration. Then, after spending ten years with Webex, it was acquired by Cisco, an event that all the employees were thrilled about and celebrated. Those events taught me an important lesson about process vs. outcome. It took many years to reach the endpoint for each of those transactions, and I felt that with each, everyone was very focused on the outcome. I learned from those experiences that the process should be celebrated as enthusiastically as the outcome. If you don’t enjoy the process — in essence, the act of coming to work every day — no matter how good the endpoint is, that’s not a great outcome. From those years, I learned the importance of enjoying the full spectrum of the process, and to feel happy every day. I’ve brought that to our culture here at Zoom. I’m very focused on making sure my employees find their work rewarding and their workplace a positive environment on a day-to-day basis, not just on those occasions that we reach a major milestone. At Zoom, we synchronize our teams by using our own video communications platform. Zoom lets our teams meet face-to-face, wherever they are located, even if they are on the road. It maximizes interactivity and collaboration for all types of teamwork– from internal to external meetings, large team meetings and even all-hands events. The platform is great for brainstorming and collaborating; multiple people on a team can share screens simultaneously and can also use Zoom’s white boarding capability to write on their screens and co-annotate each other’s notes — in fact, our engineers use the feature all the time to brainstorm and write code. I think you need to get over the temptation to repeat a process or system that works well in one location for every other location — i.e. this is how we did it in Silicon Valley or London or Sydney, so this is how we’re going to do it in Paris or Tokyo. I can offer a small example that occurred with our advertising. Our marketing team had some ads properly translated for French recently, but the French team came back and pushed the U.S. to put an exclamation point in the ads. It looked strange to the U.S. team and required a whole new round of review, but they realized Paris was a new region for them and that they would need to take things more slowly and get more input to get it right. They ended up with the exclamation point and it definitely conveys the intended message and looks great. The same can be true of managing people, not every culture responds to the same process. You need to be willing to be flexible and occasionally change your process to meet the needs of a different country or culture. Stay focused on making your employees happy on a day-to-day basis, whether it’s by sending a gift or flowers, publicly acknowledging someone who has done a great job, following up with someone about a concern they had, and so forth. If your employees are just working toward some goal in the distant future, every day between now and then will be a slog, and they may not care about the seemingly little things that have a big impact on the customer experience. Without their happiness you can’t achieve success. I think that when people quit their jobs, they actually “quit their company’s culture” rather than their managers. If your company has a great culture then employees can still find a good position within the organization even if they might have issues with their managers. There are so many worthy causes, at some point I think it can be paralyzing to figure out the MOST impactful one; you just have to find something that moves you and start contributing. I have focused a lot on how technology can change young lives. Zoom sponsors the Tech Museum and their Girls in STEM program. I think that anything that can create more opportunities for girls and women to reach their potential and build great things in our industry is something I want to be a part of. Can you please let us know your favorite book? My favorite book is “ Speed of Trust” by Stephen Covey. We are also going to invite him to Zoom’s internal event. Essentially startup is all about speed and in that you have to trust everything as without trust , gaining speed is not possible.